Legal services are dispensed by the union’s Legal Affairs Office (LAO), housed at the 3rd Floor, of the Seamen’s Center, Cabildo corner Sta. Potenciana St., Intramuros, Manila. It is headed by a Director for Legal Affairs and complemented by seasoned lawyers and paralegal officers mainly tasked to perform advice-giving and consultative functions. The core legal services include assisting and representing union members in relation to their employment, employment benefits, union benefits and privileges. The office is also responsible for responding to other union matters requiring legal opinion, and inquiries from companies on the interpretation and implementation of Collective Bargaining Agreement (CBA) provisions vis-a-vis the POEA individual Standard Employment Contracts. Cognizant of the dynamics of the global maritime policies and conventions, the LAO also constantly reviews the applicability and relevance of provisions of CBAs and whenever necessary, recommends revisions thereto. During union negotiations with shipowners’ and employers’ organizations, the office is involved in formulating new applicable provisions or amending existing provisions to be consistent with the current requirements of international shipping and maritime labor laws. The office is likewise the hub of dispute settlement through the grievance procedure instituted in all the CBAs. Being a core activity of the union, a separate section on Industrial Relations is devoted to this subject. As part of its outreach program, the LAO also offers lectures and advice to medically repatriated members on their benefits and entitlements. Such activities are conducted at P&I Club-accredited hospitals during selected and scheduled weekends. 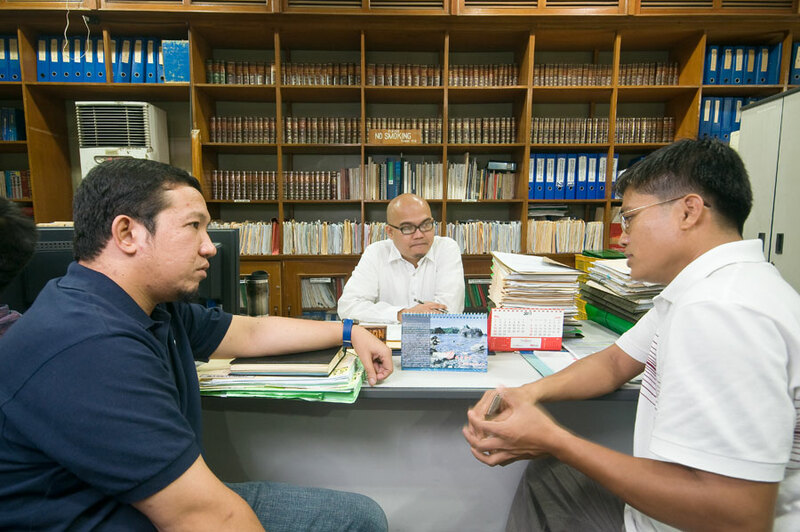 Very often, the seafarers visited welcome the assistance extended by the union through this outreach program of the LAO, especially that physical disability limits their access to the union’s services. Notarial services for documents that are employment and union related are rendered free of charge. Death benefits – When the seafarer dies while on board as a result of a work related illness or injury his beneficiary/dependent shall be entitled to the death benefits as provided for by the CBA covering the ship. This entitlement also applies if the seafarer dies after disembarkation but the cause of death should also be the cause of repatriation, i. e. work-related illness or injury. Disability benefits – while the seafarer is on board and unfortunately due to no fault of his own was injured or afflicted with work-related illness and as a result of this he/she was declared permanently/partially/disabled he/she is entitled to disability benefits as provided in the CBA covering the ship. Illness Allowance – the seafarer who was repatriated medically by reason of an injury due to accident or a work related illness shall be entitled to an illness allowance for a maximum period of 120 or 130 days based on the CBA that covers the ship. Non-remittance of Provident Fund – when the company failed to remit the Provident Fund of our union members, the Legal Department will conduct a grievance clarificatory meeting with the company to remind them of the unremitted Provident Fund. Dismissal Cases – the termination of contract of seafarer by the company without cause. The seafarer may claim his unpaid unexpired portion of the contract, base on his basic wage.